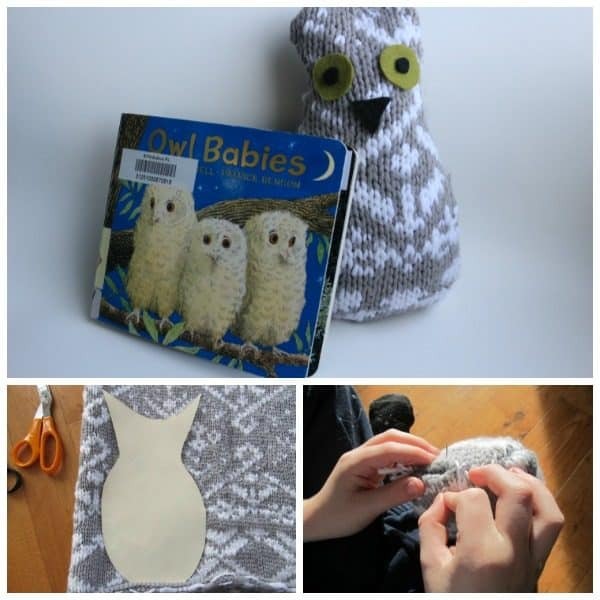 Following on from this week’s theme of Owls for the Virtual Book Club for Kids and the Owl Babies Shape Activity we’ve got a recycled sweater Owl Babies craft that is easy for kids and adults alike to make, cuddly, and absolutely adorable! Read on for simple directions. 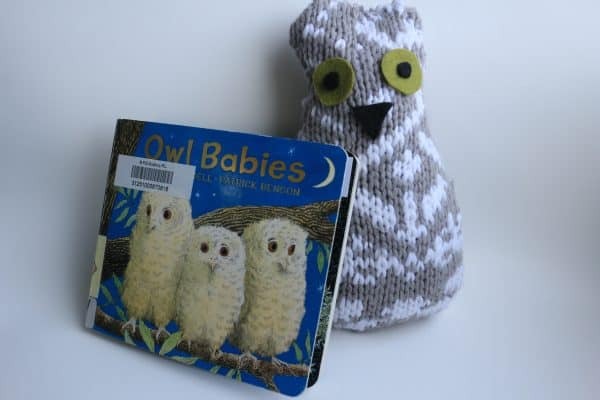 If you haven’t read the Owl Babies book then add this to your book wish list; it is such a sweet story for tots and you to read together. Now cut out your eyes and beak from the felt. 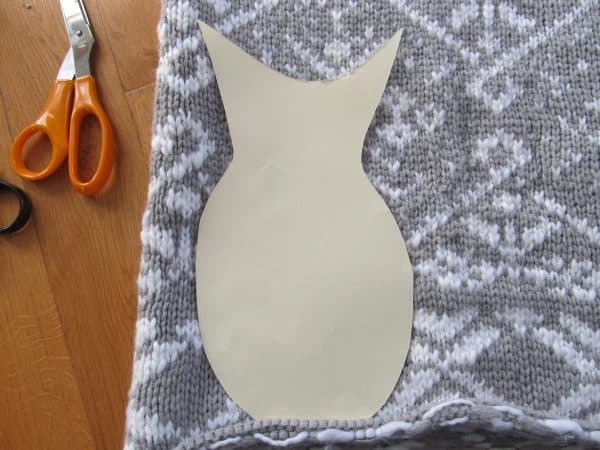 Stitch them onto one side of the pieces you just cut out. Even a young child can do this under supervision – but never leave a child unattended with a needle! An older child might also like to hot glue them on instead if there are no siblings who still put things in their mouths. Turn the body/head pieces, right sides facing, and sew them together. 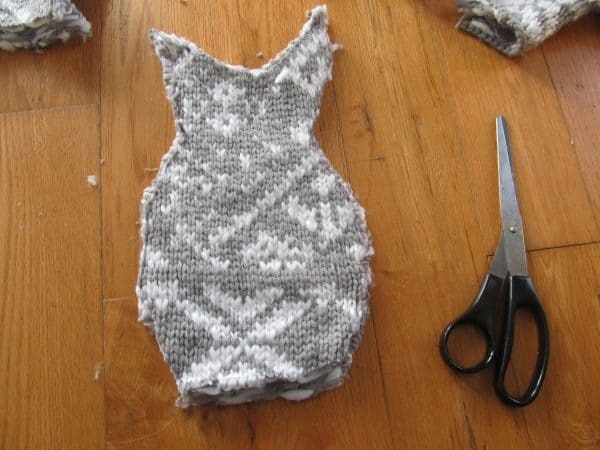 Leave about an inch at the bottom of the body for stuffing. Turn your owl baby right way out again. 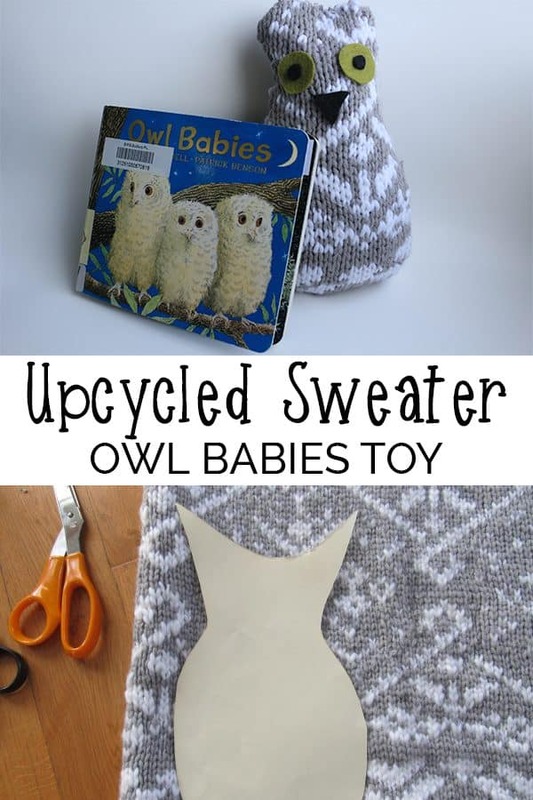 You can either use toy stuffing for your owl babies craft, or you can use cut up scraps of sweater left over from the project like we did. 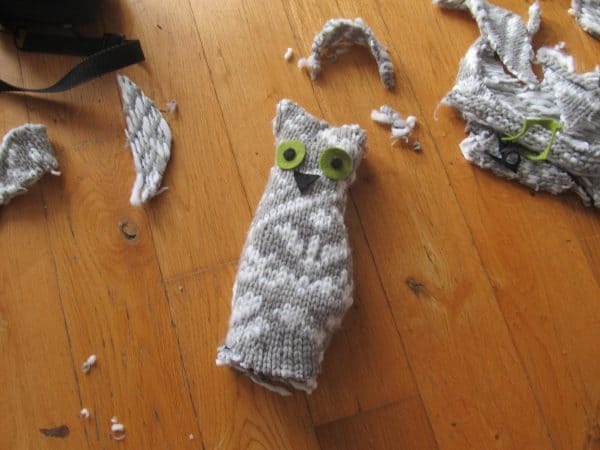 Fold in the raw edges at the bottom of your owl and stitch them closed. 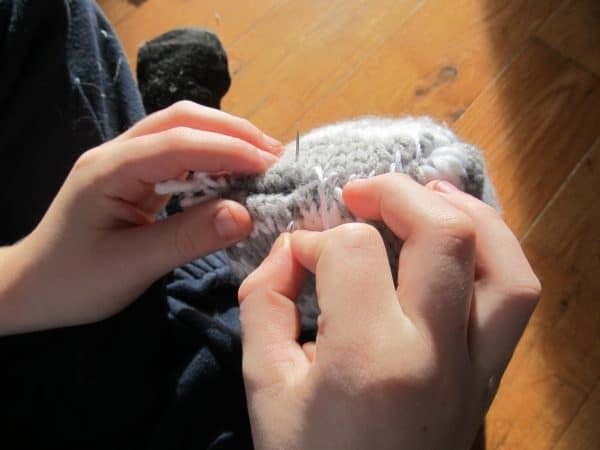 -Have your child re-tell the story using the toy you just made. -Ask them why the babies are white but Mommy is brown. What could be a reason? -Talk about why Mommy owl left the babies alone. Do human mommies do this? -Make up a whole new story about the Owl Babies. Use the toy you made and act it out with your child. -Discuss what owls eat. Do we share any food likes with them? Make an “owl meal” (our food but re-named to be owl favorites). Eat with your “talons”!